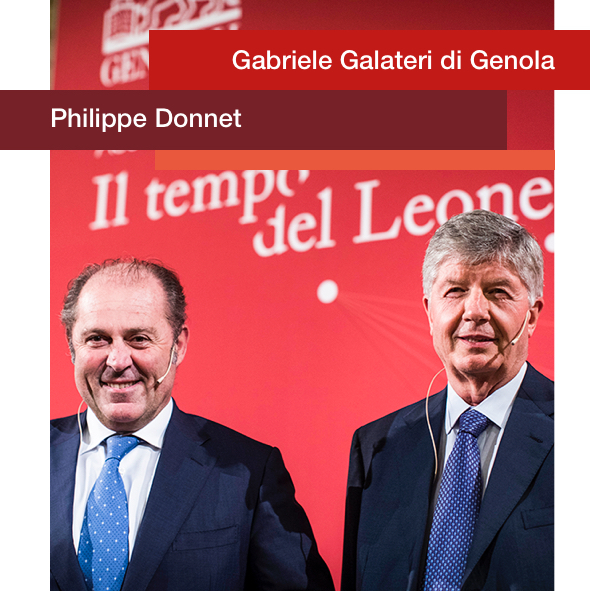 Generali closed another year with excellent results and strengthened its positions as one of the most important players in the insurance industry. These results demonstrate that the Group is increasingly solid, efficient and innovative, and that it is able to effectively handle the challenges distinguishing our industry and that are becoming deeply intertwined with the global and interdependent changes in the society. In economic, industrial and capital terms, the Group presented an operating result once again marked by growth and the best profit of the last three years, increasingly higher quality and premium income and a strengthened capital position. All this confirms the soundness of the strategy launched two years ago and that will be completed in 2018 before starting a new three-year period that - and of this we are sure - will be just as satisfactory. 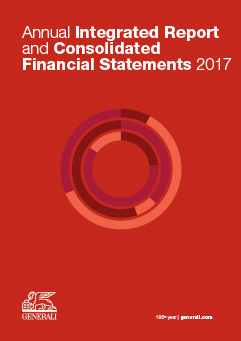 This report provides a concise and integrated view of the financial and nonfinancial performance of the Group, even in response to legislative decree 254/2016. 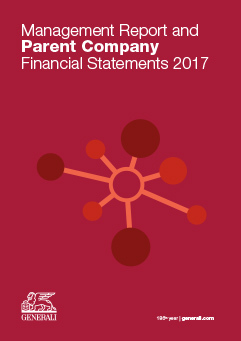 This report expands the content of the Annual Integrated Report, providing details of the Group's financial performance in compliance with national and international regulations. 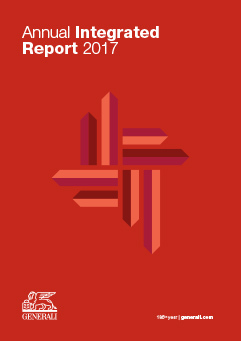 This report provides information on the performance of Assicurazioni Generali, in accordance with currently effective regulations. Gross written premiums in the Life segment, including premiums related to investment contracts, amounted to € 47,788 million, Net cash inflows remained at the top market levels, reaching € 9,718 million. Gross written premiums in the P&C segment confirmed the development seen during the year, standing at € 20,749 million. 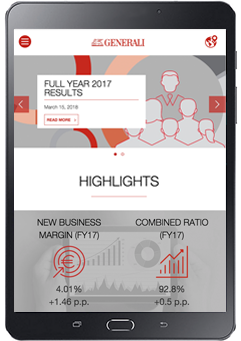 The operating result of the Holding and other businesses segment amounted to € 59 million, considerably up compared to the € -74 million at 31 December 2016. 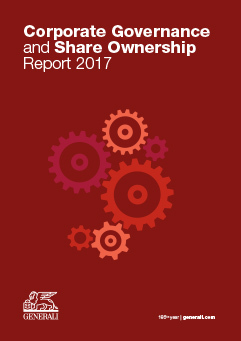 This Report provides an overview of the Group’s sustainable value creation process, reporting current and outlook financial and non-financial information and highlighting the connections between the context in which we carry on our business, our strategy and our corporate governance structure. 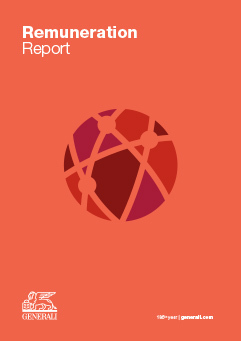 For the purposes of simplifying the fulfilments required by the Decree and also promoting greater accessibility, any published non-financial information is clearly identified within this Report through the use of infographic, as shown in the margin.